Developing effective instructional plans from both a traditional approach (e.g., instructivist) as well as a constructivist approach is clearly important for preservice teacher education. This study was designed to validate and compare two cognitive tools, the Instructional Planning Self-Reflective Tool (IPSRT), and the Constructivist Planning Self-Reflective Tool (CPSRT), which were each found in prior research to significantly improve instructional planning performance and motivation/attitude for preservice teachers. In a repeated-measures design, forty-two preservice teachers received both the IPSRT and the CPSRT in differing order and wrote two instructional plans on the same topic, one with each tool. Results validated the IPSRT for its efficacy in facilitating the development of instructivist plans and the CPSRT for constructivist plan development. No significant differences were found between the IPSRT and CPSRT in participants' instructional planning performance, motivational/attitudinal impact, and perceived tool value, thus confirming that neither tool is more effective than the other. Differences were revealed in preservice teachers’ perceptions of metacognitive value of each tool, where the IPSRT was found to better support self-monitoring whereas the CPSRT better supported cognitive flexibility. Implications for implementing these two tools for instructivist and constructivist planning are discussed. Baylor, A. & Kitsantas, A. (2005). Comparative Analysis and Validation of Instructivist and Constructivist Self-Reflective Tools (IPSRT and CPSRT) for Novice Instructional Planners. 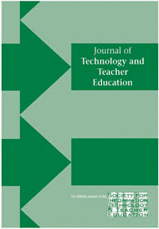 Journal of Technology and Teacher Education, 13 (3), 433-457. Norfolk, VA: Society for Information Technology & Teacher Education. Retrieved April 23, 2019 from https://www.learntechlib.org/primary/p/4712/. Bandura , A. (1986). Social foundations of thought and action: A soc ia lcognitive theory. Englewood Cliffs , NJ: Prentice Hall. Bandura , A. (1997). Selfe f f icacy: The exercise of controL. New York: W.H. Freeman. Jonassen, D. (1997). Instructional design models for wells truc tured and i l ls truc tured problemsolving learning outcomes. Educational Technology Research& Development, 45(1), 65-94. Martin , B . (1990) . Teachers’ planning processes: Does ISD make a difference? Performance Improvement Quarterly , 3(4) , 53-73 .